When Google first launched Chrome OS on Chromebooks, it confused a lot of people. Who was it for? What was the point of an OS that was only a web browser? Yet, Chrome OS, and thus Chromebooks did find their niche among the macs and windows. Quite like several other operating systems based on the Linux kernel. Chrome OS quickly grew but it still didn’t have apps that were powerful enough to make its case. Therefore, Google went ahead and brought Android apps to Chromebooks. While they’re fun, most of them aren’t really useful on a laptop. In a win-win for all, Google is now bringing Linux apps support to Chrome OS. 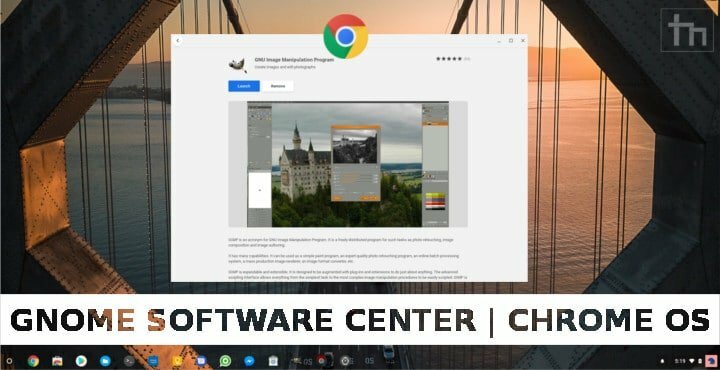 You can already install the GNOME Software Center on Chrome OS. What is GNOME Software Center? GNOME Software Center is like the Google Play Store but instead for a desktop running the GNOME Desktop. If you’re not familiar with Linux, perhaps that’s all the information you need. Explaining Linux can be a lengthy affair and we’re not here for that. There are several Software Center like apps for Linux but most of them have pretty much the same apps give or take. Why do you need it on your Chromebook? Google has already added support for installing Debian packages on Chrome OS. Debian packages use the extension .deb and are to a Debian based Linux OS what .apk is to Android. However, without a proper package installer, installing an APK or a Debian package can be daunting for those not familiar with the command line. Android already has a package installer for APK files and so does Chrome OS. But Chrome OS lacks a GUI package installer for .deb files. 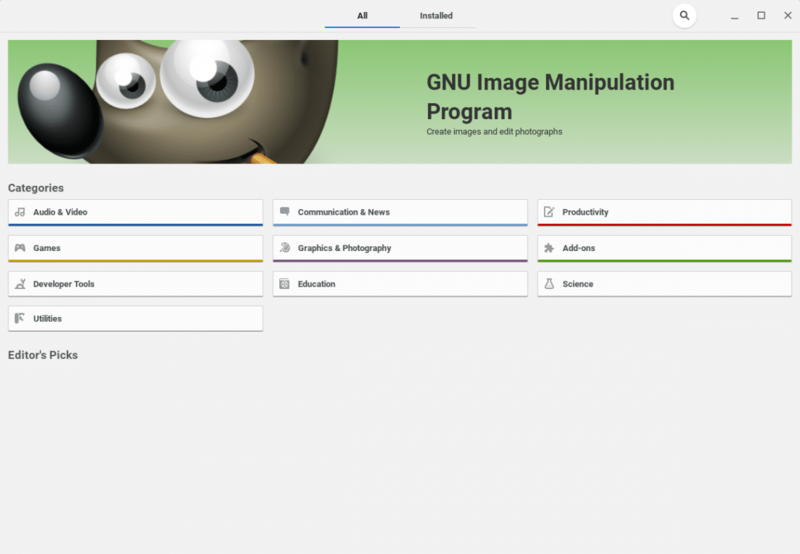 So if you want to install GIMP, the best Photoshop alternative, or any other Linux app on your Chrome OS, you’ll have to launch the terminal and run commands. Whereas, if you were to install the GNOME Software Center, you’ll only have to do that once, to install the software center. 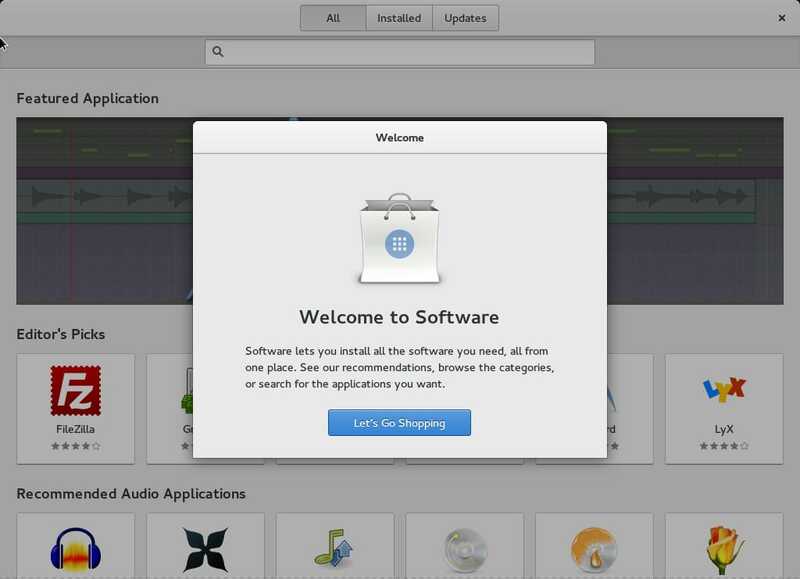 After that, you can browse and install apps pretty much as you do on the Chrome Web Store or the Google Play Store. Linux app support is currently in testing on Chrome OS and as such, is only available to those on the beta update channel. If you’ve made the move and installed Linux, you should have the Linux Terminal app installed on your Chrome OS. 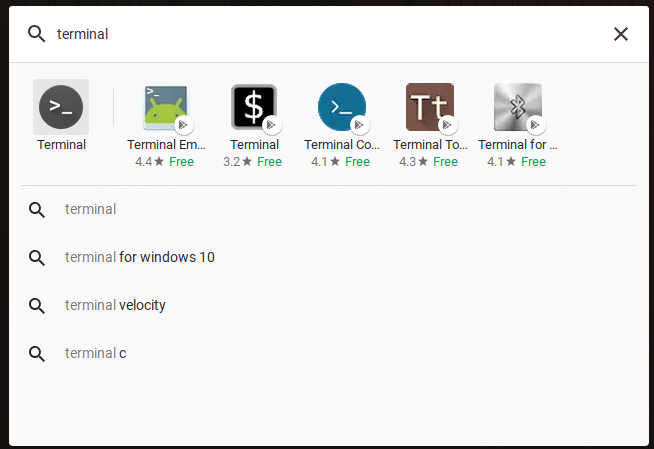 Launch the Terminal app from your app launcher. Once you have the Terminal opened, type, or copy and paste the command given below and hit enter. You’ll then be informed that you’re about to install packages that will take up additional space on your machine. Type Y and hit enter to proceed with the installation. You can now sit back because the installation is going to take some time regardless of how fast your internet connection is. It will take longer on slower internet connections though. When the installation does finish though you can find the software center in your app launcher. When you launch the software center for the first time, it may just load up the GUI without actually showing any apps or categories. A simple reboot of your Chrome OS machine should fix that. You can also try to update the system via the Terminal and that should help as well. To do that, enter the following command in the Terminal. When you relaunch the Software Center, you should be able to see app categories as shown below. There are also other Linux Software Centers that you can install similarly using the Terminal commands. However, the GNOME Software Center should contain most apps you’ll probably need, assuming you’re new to the world of Linux.